Ten years ago Calamity appeared in the sky and the Epics – ordinary humans who developed extraordinary powers – appeared with it. Each was unique. Each was a wonder to the people who lived in the city they took. Each was a danger, and a powerful one at that. The Epics became superhuman, but they were not good. David’s father taught him that someday good Epics would come. In ten years, they have not. It will take the secret he took, that day his father died. A secret he and he alone witnessed and lived to tell. 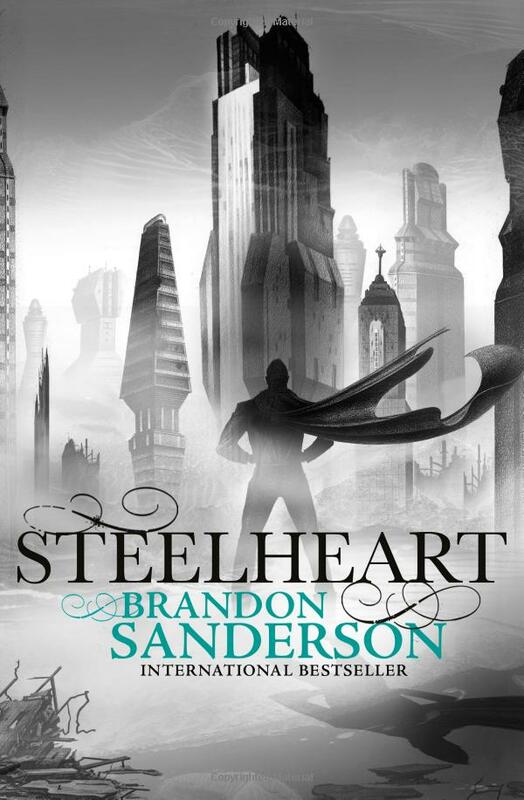 Steelheart bled that day. And when he figures out why, David will make him bleed again. As a protagonist, David has a wonderful, witty, self-deprecating voice that endears him to the reader – we really feel ourselves backing the underdog all the way through this fight. His vulnerability, and on occasion naivety, makes him a human in the most real sense of the world, and that makes him an excellent contrast to the Epics, with their arrogance, strength, power and seeming invincibility. 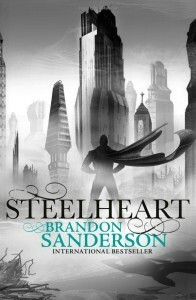 Sanderson creates worlds where everything is alive, and Steelheart is no exception. The setting itself is rich in atmosphere and detail, and is a splendid playing field for this ‘ordinary kid’ meets Superhumans fantasy. Though occasionally a little too bogged down in weaponry and detail during action scenes, this is otherwise a fast-paced, enjoyable and exciting story.